« New Year, New You…Why Updating YOU is So Important. As I said, I have lived by this to the point where it has become unconscious on my part. I and my hair have been through chestnut with subtitle highlights, chestnut with not so subtle highlights, blond…really blond (my uncle still calls my blondie from the period almost 14 plus years ago), strawberry blonde, copper, RED (one of my favs and strong natural highlight for me), auburn, dark brown, light brown and my current natural dark, dark brown though I am hiding some gray under there…gasp! I have been super short, moderately short, bobbed, medium, layered, straight, long and curly. I have had short blunt bangs, no bangs, angled and heavy bangs. There is not much I have not tried. However, with the exception of when I went blond, none of these changes were drastic changes. They happened over the years of New Year, New Me and the quarters I didn’t get compliments. Because of this I have become someone who is no longer afraid of changing my hair. So here are some subtle changes that you can make and a few not so subtle changes that will help spark that new you. If you always wear your hair straight, try curling it. This doesn’t mean hours on end waiting for rollers to set. There are so many different techniques out there and easy to find on YouTube, that you could probably do a whole month of different curls. Plus there are so many tools out there to make the job easier. But if you are a minimalist, check out tutorials on how to curl your hair with a flat iron – aluminum foil optional. There is even one technique you can do without any heat! 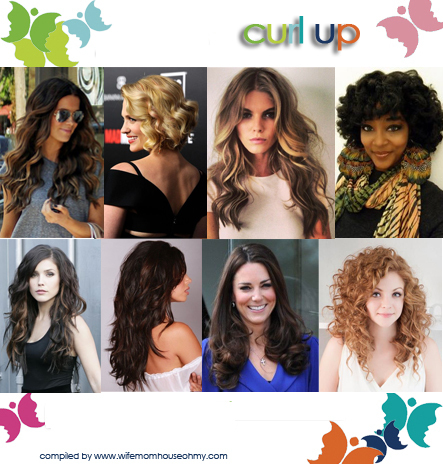 Pick from traditional spirals, to waves, to beach curls, to big bouncy, to partially curled, to messy curled. The options are endless. So perhaps your norm has been waves or curls or up-dos. Time to pull out the flat iron and smoothing serum and go flat. These easiest way to pull this off is to dry your hair normally – I personally suggest if you don’t want it to look super flat on top to take a Root Lift foam and spray and dry with a blow dry by lifting up and in the opposite direction of the way you want your hair to ultimately lay. This will give it body. The apply a thermal heat protectant to your hair. I really love Sebstain Trilliant (not a paid or compensated endorsement. I just really like it.) It leaves the hair shiny and with a little shimmer to it. Its a little pricy. Mine costs me $18 a bottle for 5 ounces but what it does for my hair is WAY worth it. To smooth any remaining fly-a-ways, follow with a smoothing serum. Whether its a full on lob job or just an inch or two or perhaps just playing with shapes, taking scissors, or a razor, to your hair might not be a bad way to get your New Year, New You fix. If you have been sporting all one length consider opting for soft or all over layers. If you have had chunky angled big bangs, switch it up with a solid forehead bang. Or wise versa. Consider growing them out to chin length for a subtle difference. If you are always wearing your hair up, you may want to consider cutting off some length. You can do it gradually so it is not such a HUGE shock or loss. But something to consider. Not ready for the full plunge of a short hair style, bobs, shoulder length and medium length styles allow for versatility and change from long hair. Probably one of the most fun things for me in my world of hair has been coloring it. You can change a personality by coloring your hair and the nice thing is for the most part, with very few exceptions, if you don’t like it, you can dye it back to what it was. Not sure what to go or how far to go? Start slowly. If you are a dark brunette going bleach blonde in one shot is not only going to be harsh on your hair but odds are it will be harsh on you and your loved ones…emotionally. Unless you are use to changing color up frequently, my suggestion go gradual. If you want to go lighter, start by adding subtle highlights, adding more and more with each touch up. Same is true for going darker by adding low lights. 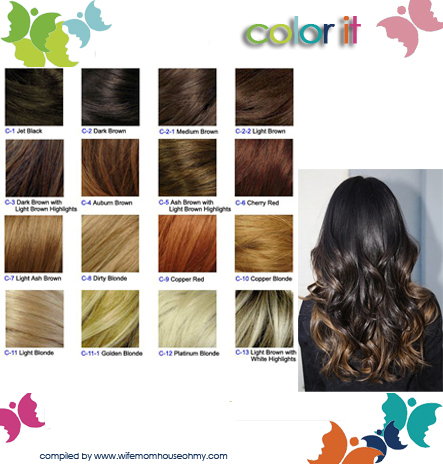 Or opt for the new Ombre hair style with lighter more sun bleached ends. I am thinking about going there soon. I think the look is beautiful, especially the moderate to subtle versions. Only thing stopping me are my extensions…they sure ain’t cheap and I need to make sure I’m going to happy with it since my extensions are usually with me for a good 6 months. So when I first heard this I almost died laughing. Then I found extensions. My thin and baby fine hair got an amazing boost! And now I live in them – thank you the sad effects of medication that make my hair weaker and thinner than ever. The cool thing about extensions – and I have tried several – is there are so many options from easy maintenance to high maintenance. Depending on what you want for your hair, you can have it. Clip in extensions are awesome for the novice who may want to see what they look like with longer hair or just want it for the occasional use. These come in halos or sets of wefts. Personally I recommend the sets of wefts over the halo. The halo may be less work but the clip in wefts look more natural and doesn’t leave a clip on the top of your head. There is also glue in, tape in, or sew in. I have personally never tried these because of the damage they cause and the excess high maintenance and upkeep involved. However, I know another blogger I follow who uses the sew in kind and loves them. My personal extension of choice is the microbead that can either be installed as multiple single strands (about 100-150 depending on the thickness of your hair) or as three to four wefts. There are advantages to both but the major advantage to the microbead with silicon is that it does not damage your living hair and the beads and the hair can be reused for multiple applications. The nice thing about the microbead is my hair is always long. I never have to take the time to “install” my extensions each morning as with clip. Down side, the first few days sleeping is awkward and slightly painful as the beads are tight to your head. However, you get use to both really fast. About the third or fourth time, it a nuisance distraction but nothing major. 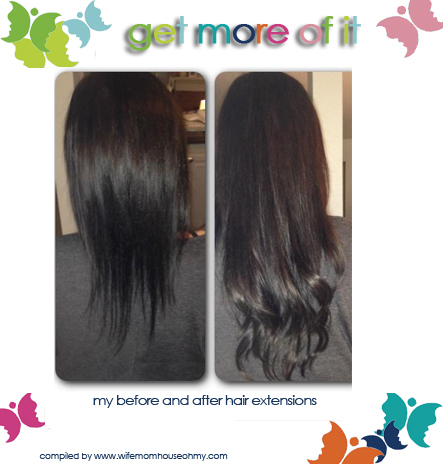 Some words of advice if you opt for extensions, regardless of type. Always, always, always get human hair. If you want extensions to look and act like your hair, then they need to be human – not synthetic. If it is real human hair, you can do everything you can with your hair. But be advised ALL require maintenance. They are no longer living hairs so they need to be babied to make sure they stay in good condition. They will also require extra low heat settings on hair dryers, curlers and flat irons. Also hair oil is a must. I have been very pleased with Wella Oil (again no affiliation) but others swear by Argon oil. Just make sure you baby them. 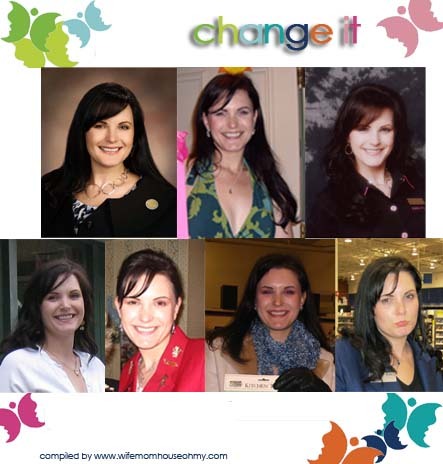 Change your do that is. If the above is too dramatic. That’s totally fine because updating your hair can be as simple as trying a new hairstyle. There is nothing worse than getting trapped in the same hair style and hair cut. I am sure you know women who have the same haircut since their teens and they are now in their 60s. Its an easy rut to get into…the familiar. But it is just as easy to change too. The are so many tutorials on blogs, on YouTube, and on Pinterest that you can easily pick two or three styles to try and change it up with. If you are low maintenance, then choose a low maintenance set of styles to try. If you are use to or are committed to something more involved, then try something more complex like the 50 billion braids that are out there. One site I really like that has tons of different styles you can try is The Small Things Blog. There have been several I have tried and others I will be. These are my hairstyles over the last few years, along with a lot more not photographed. The photo in the bottom was snapped when someone returned my camera they had just dropped…that’s the reason for the pout…but I loved the hair. To paraphrase above, “If you haven’t gotten a compliment on your hair in the last three months, its time to do something about it.” I hope this helped in the quest to get compliments again and update you through your hair. Plus, there is a really cool side effect about getting complimented. Once you get a few, you want more because they make you feel good. When you feel good about how you look on the outside added to when other’s recognize that you look good on the outside, guess what… the feeling that you get on the inside from feeling good about the you on the outside is MAJORLY AMPLIFIED! See you next post as we explore my expertise on the face with skin care and make-up updates. Pingback: New Year, New You: Updating the Inner Fashionista in You | Wife, Mom, House...Oh My!